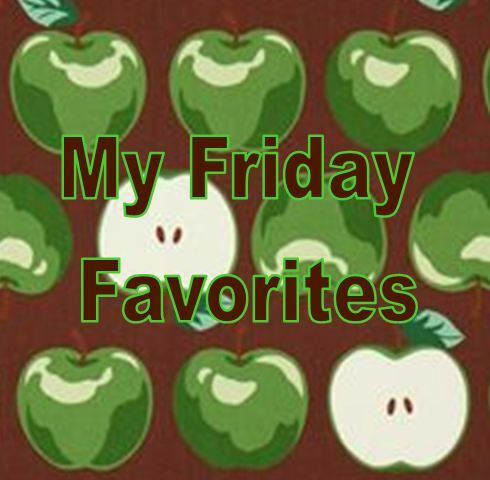 I have been away for a few weeks and have not done My Friday Favorites in awhile. I have a lot to share this time around since the weeks have piled up – so here we go – here are my favs from the past few weeks. awkward. – I am Jenna Hamilton is back. Blogging about her confusing relationships with Jake, Matty, and her Mom. Best supporting cast members: Tamara and Ming. If you have to walk down a high school hallway when everyone’s staring – these are the two to have on either side of you! ALL YOU – Roasted Strawberries with Ice Cream – I made this with strawberry ice cream because my niece prefers strawberry over vanilla! I also added blueberries. It was yummy! Martha Stewart LIVING – Grilled Peach Old Fashioned – I made this for my hubby on our vacation – a nice Don Draper drink to sip by the pool. I enjoyed the Basil Gimlet Fizz. The Container Store – Happy Organized Home Sale! What could make me happier than a sale of organizational items?? What were your favorite things this week? Leave me a comment and tell me your favorites. That’s awesome Sarah! It will be so easy to get dressed everyday – not to mention no sorting laundry when you get home! Have a great vacation – and CONGRATULATIONS! You are the 200th comment on my blog! Look out for your prize when you get back!